After years of following her navy officer husband on assignment around the world with their three children, Grace Bennett realizes that she's left something behind - herself. Steve Bennett can't understand the unraveling of his wife's heart. He wants to set things right, but when a secret from his past is revealed just as he's sent out to sea, their already-strained relationship is pushed to the edge. Now, with plenty of space to ponder the true distance between them, Grace begins to reinvent herself. Just as her new self is coming to terms with her family life, the unthinkable happens. A disaster aboard Steve's ship shatters Grace's world and all she can do is gather her children around and wait for news to come, good or bad. A navy wife's worst nightmare collides with the cold truth that life's biggest chances can slip away while you're busy looking for guarantees. 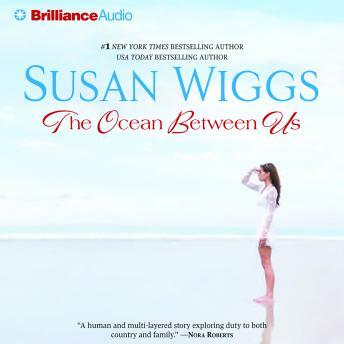 With sensitivity and insight, #1 New York Times bestselling author Susan Wiggs explores the emotional rewards and sacrifices of love and marriage in this sweeping novel.